As you’ve likely already read, on November 7th in Geneva Phillips Watches will auction off 43 unique timepieces of which one hundred percent of the proceeds will go to support research into Muscular Dystrophy. 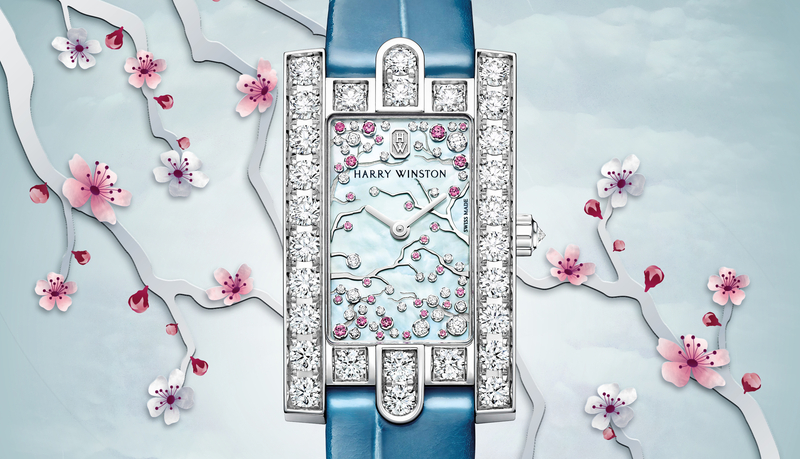 Harry Winston is contributing a unique version of the Ocean Dual Time Retrograde. Measuring 44.2 mm in diameter by 11.6 mm thick that white gold case features a with polished accents on the edges of the case, bezel, lugs and crown. The dial has an array of functions incluing an excentered hour/minute display at 1 o’clock, a day/night indicator at 3 o’clock, a calendar aperture and a Shuriken power indicator, and a second time zone with retrograde 12-hour display. 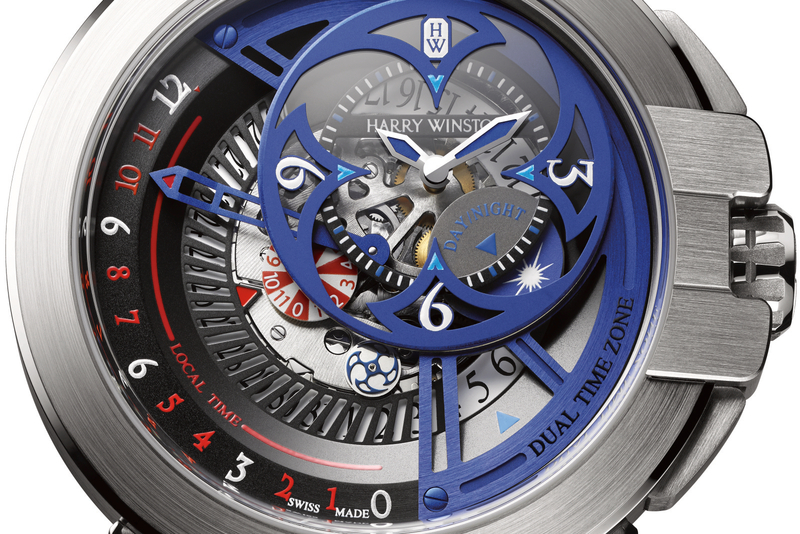 There is a unique disconnect mechanism, controlled by the crown, that allows the wearer to set the retrograde local time forward or backward. 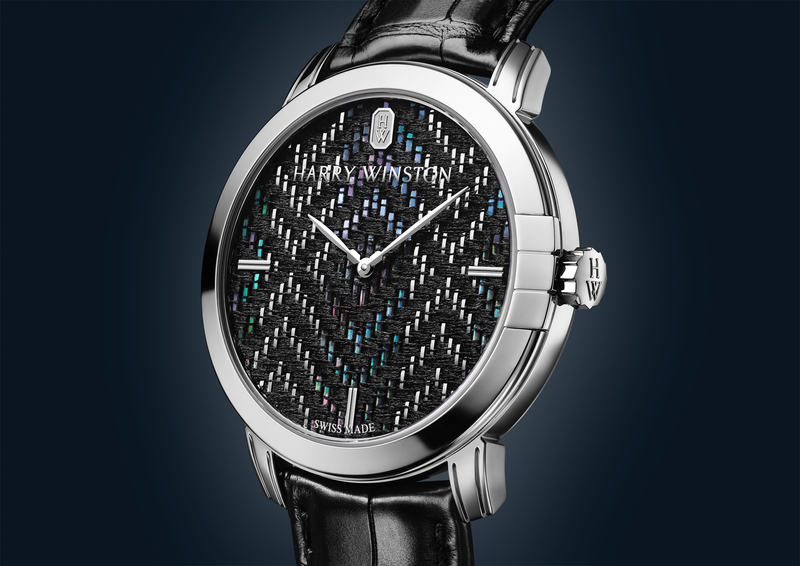 Powering the timepiece, and partially visible through the openworked dial, is a self-winding caliber that runs at 4Hz, consists of 281 components (32 jewels). It has flat balance spring in silicon, circular Côtes de Genève, circular graining, chamfered bridges and a skelton oscillating weight. 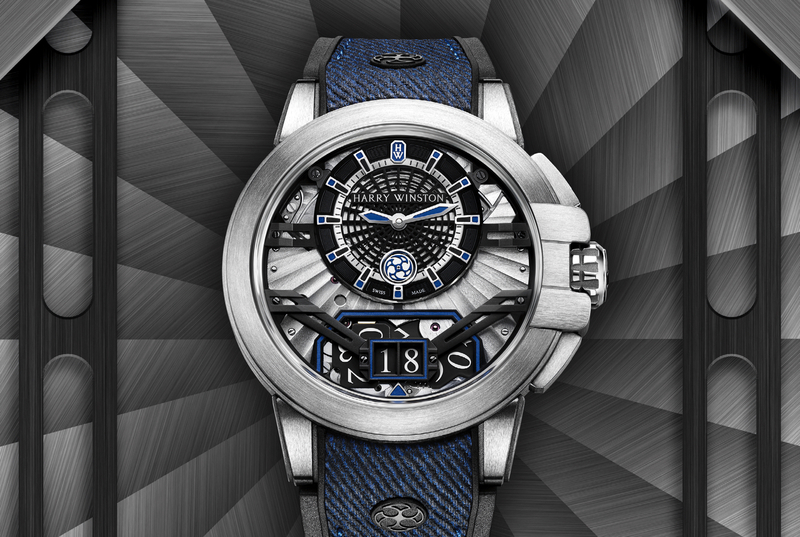 The Ocean Dual Time Retrograde Only Watch – Unique Piece is water-resistance to 100 meters and presented on a blue alligator leather and black rubber strap with an Ardillon buckle in 18K white gold. Learn more at Phillips Watches.